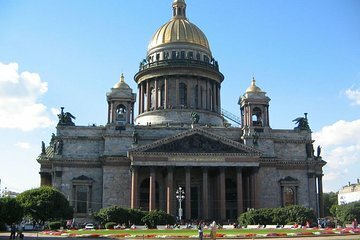 Explore St Petersburg’s imperial heritage and learn about Russia’s emperors and their fates on a private 4-hour walking tour. Your tour starts with a visit to the Peter and Paul Cathedral inside the Peter and Paul Fortress, commissioned by Peter the Great in 1703, and burial place to many tsars. View the ornate interiors and royal tombs, including those of Peter and Nicholas II and his family, murdered in 1917. Later, tour the Cabin of Peter the Great, the well-preserved wooden cottage where Peter lived during the city's founding.